Working with oak and Elm is an ancient craft, the landscape produced wonderful trees, which when used in timber framed construction, brought the qualities of the wood into the home- timber framed houses seem to ‘fit’ into our landscape quite naturally, so long as their character is encouraged to be celebrated, rather than covered in modern and damaging renders! 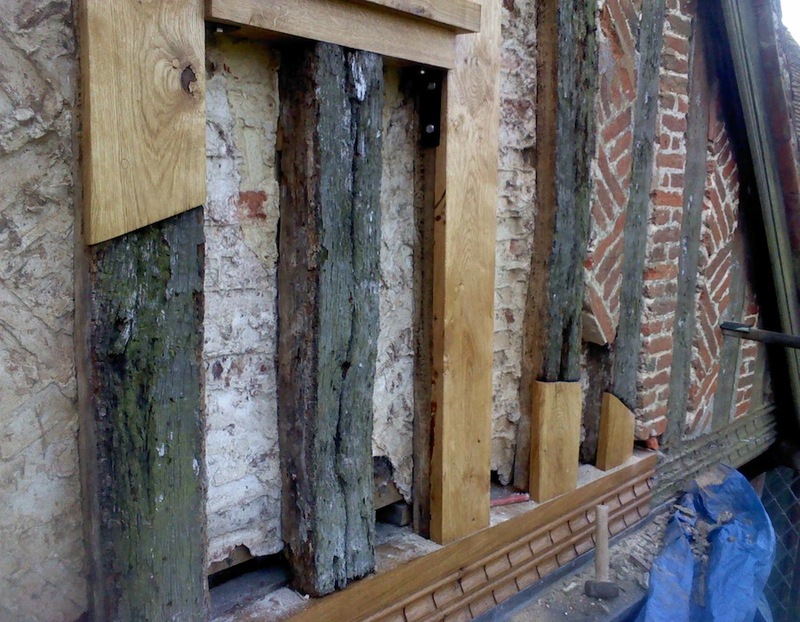 The carpenters through the ages have passed their ways of working through the generations,developing as they did the use of innovative jointing techniques which allowed for larger, robust buildings, and so timber framing became the most common form of building. 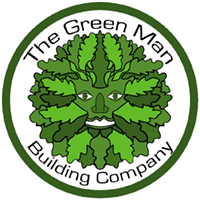 Because of its strength, the principle choice timber for construction has been oak which is used unseasoned in its green state before it has dried and hardened. 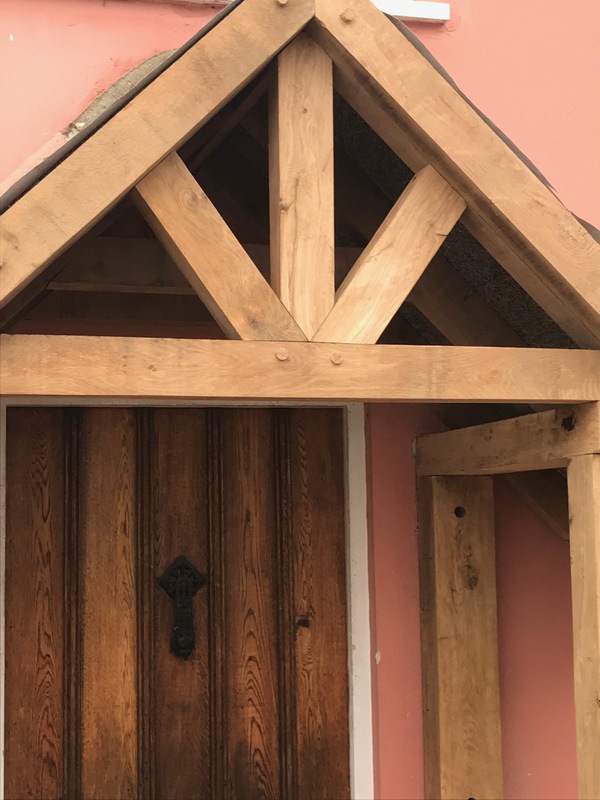 The durability of oak means older buildings remain fundamentally sound today even though some were built centuries ago. 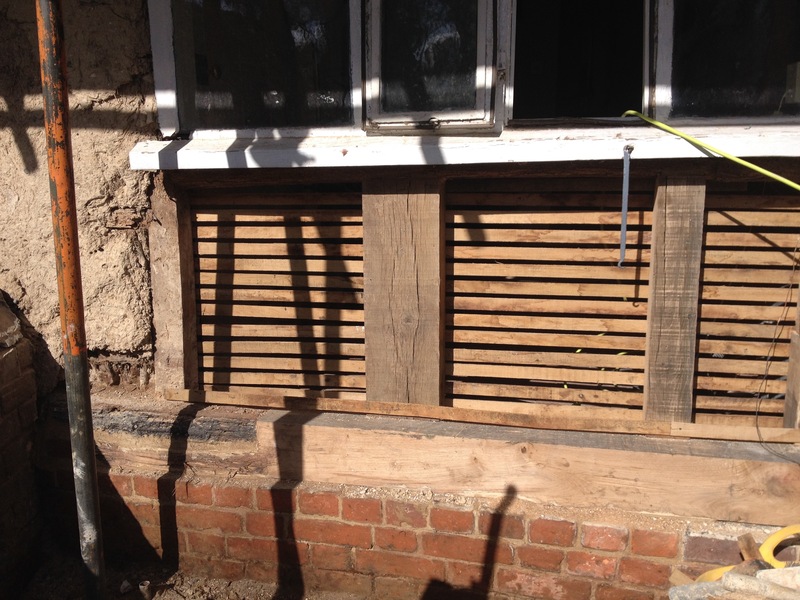 We offer a comprehensive bespoke design and build timber framing service. 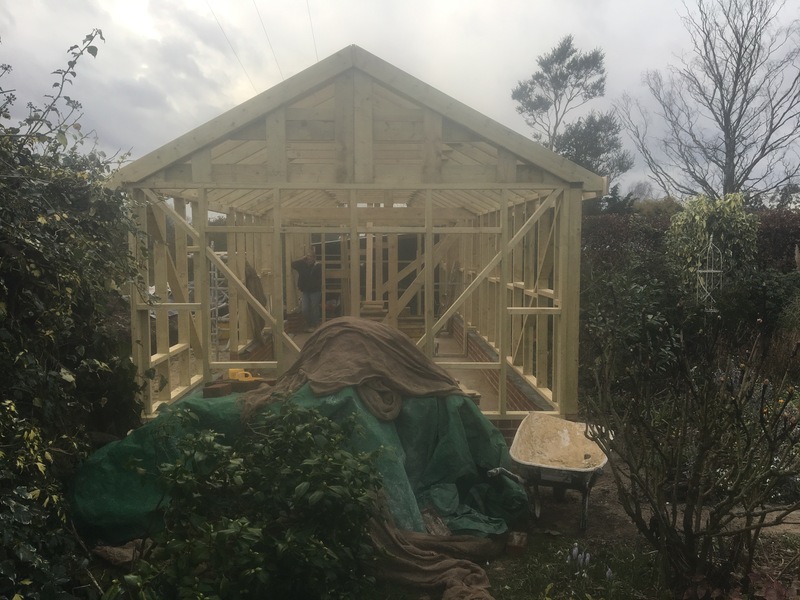 From a barn to a shed, we can pre fabricate and /or build on site, incorporating the allied skills and materials that make up a complete weather tight and cosy space. 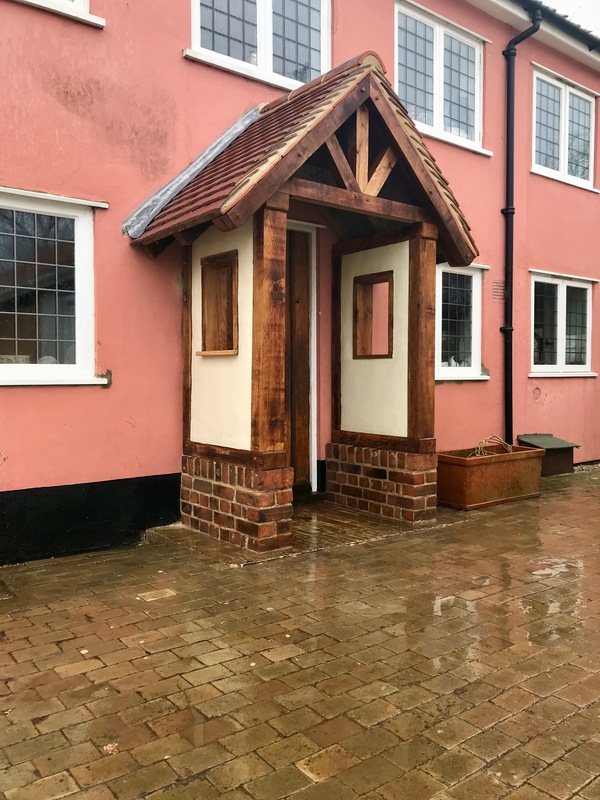 Our deep and fundamental knowledge of older buildings informs our practice and enables the production of beautiful new buildings quite unique in every detail and like the traditional timber buildings of old, they ‘fit’ into the landscape so well. Our methods dictate that we work with what we have- the shape of each timber will inform where it goes as we choose robust timbers and happily incorporate bends and curves into designs. – truly bespoke and evidence that we listen to and celebrate the materials. It is this approach that gives building character and ‘soul’.